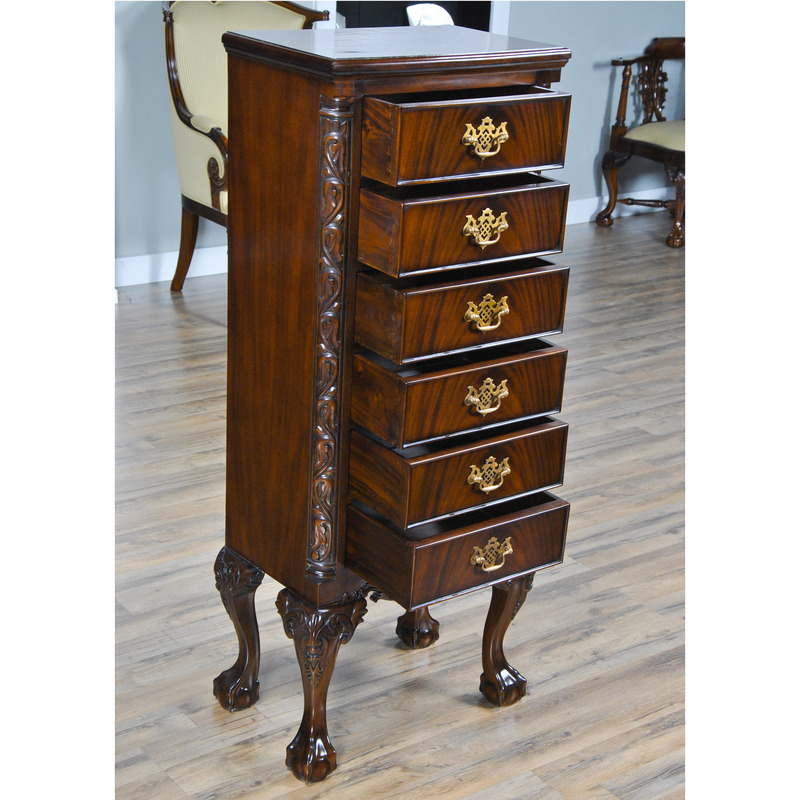 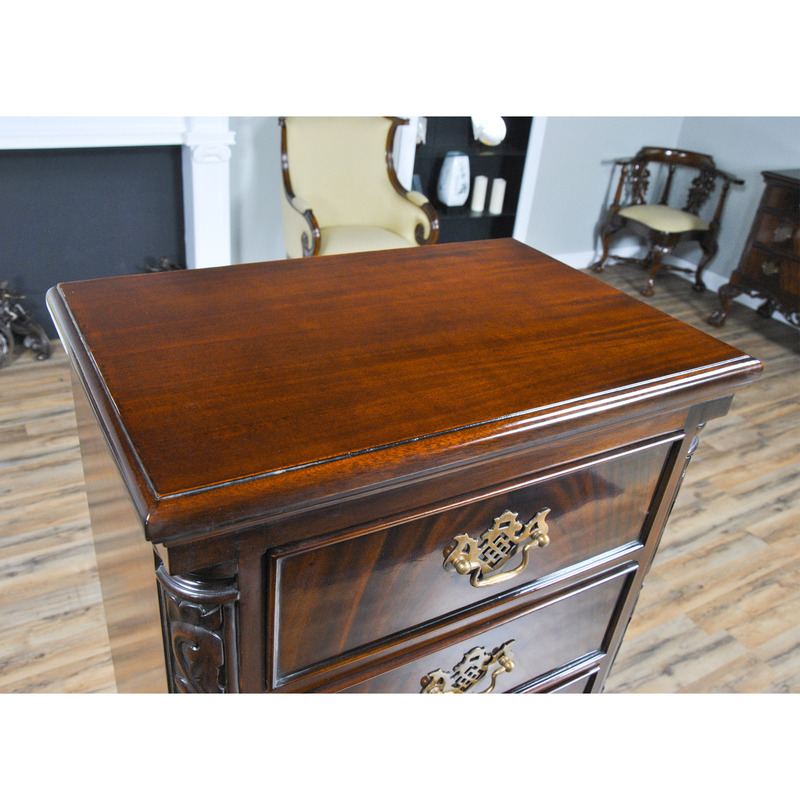 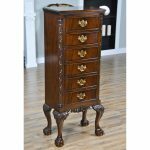 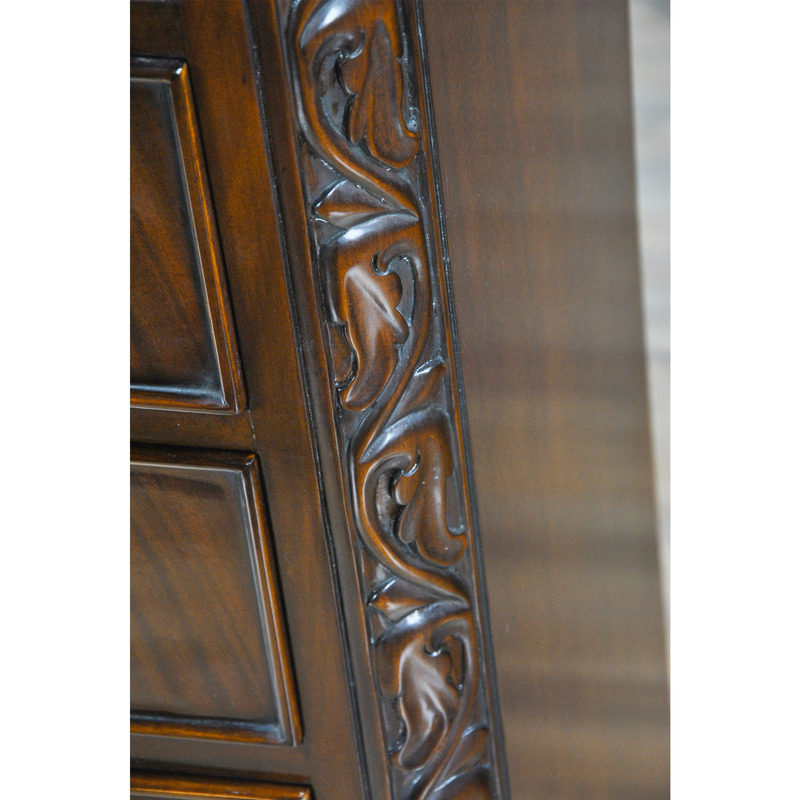 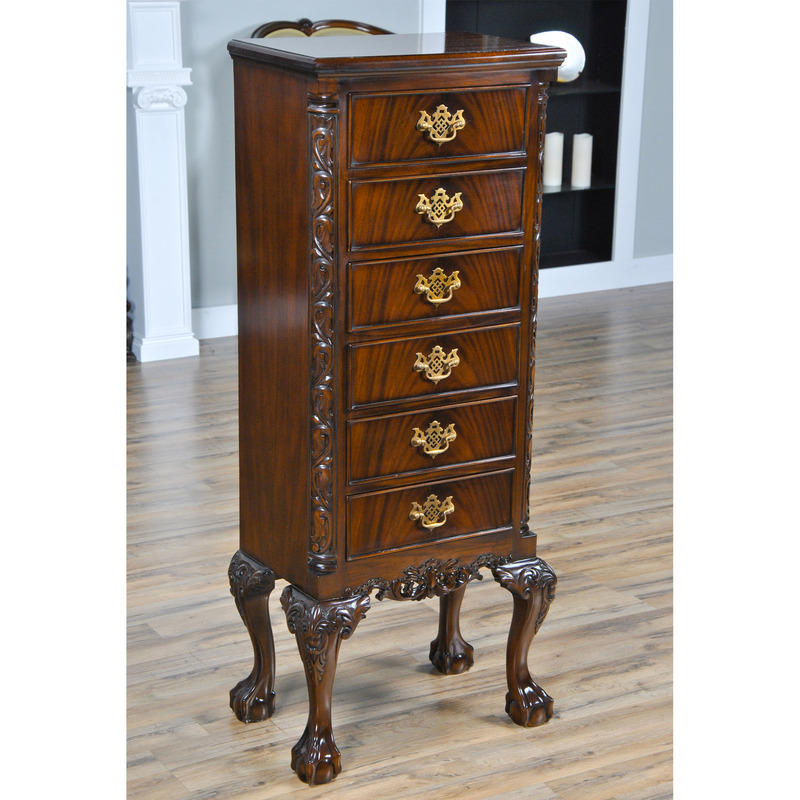 The Niagara Furniture version of a Chippendale Mahogany Lingerie Chest. 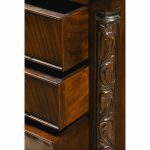 This six drawer chest was originally designed as a lingerie chest but it can be used for storing a lot of just about anything! 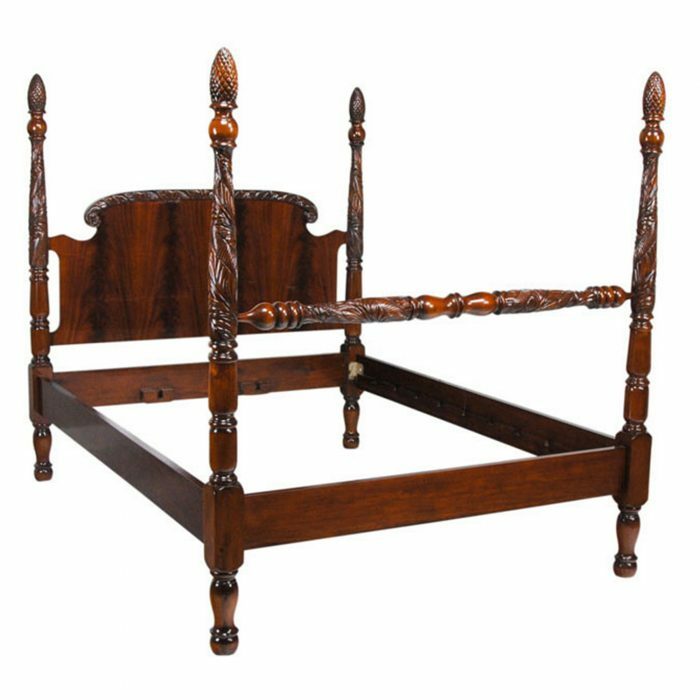 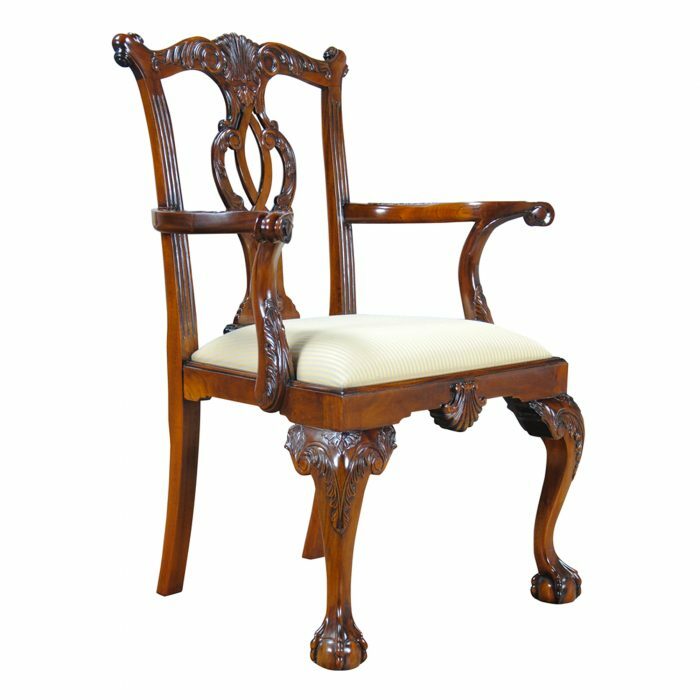 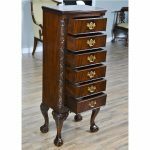 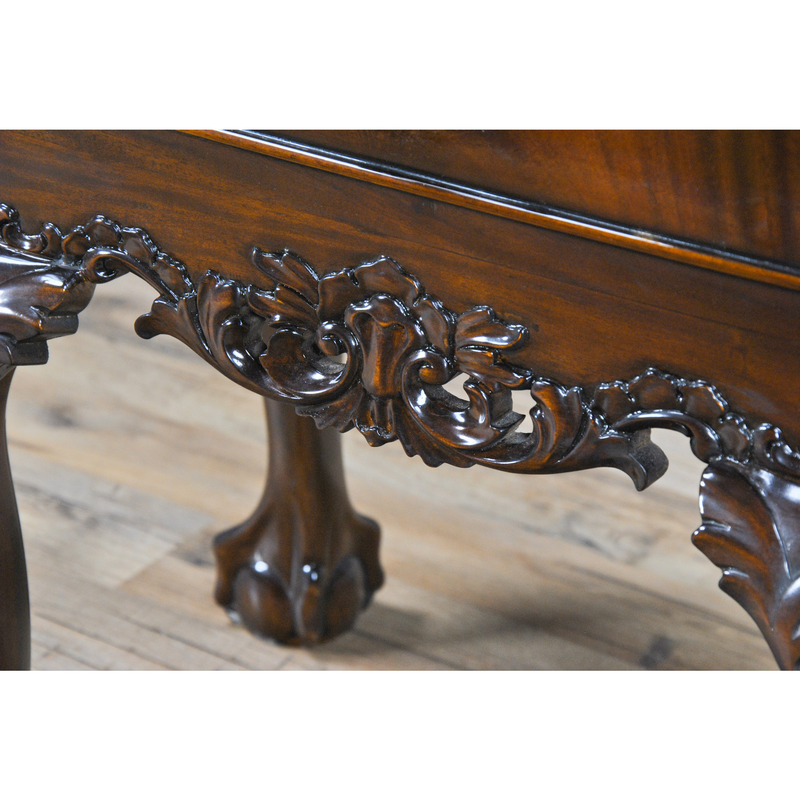 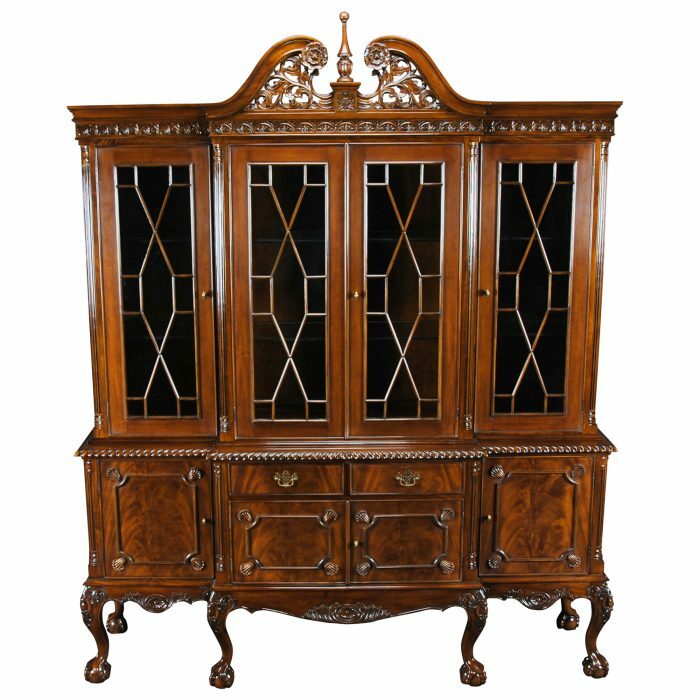 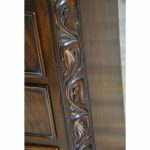 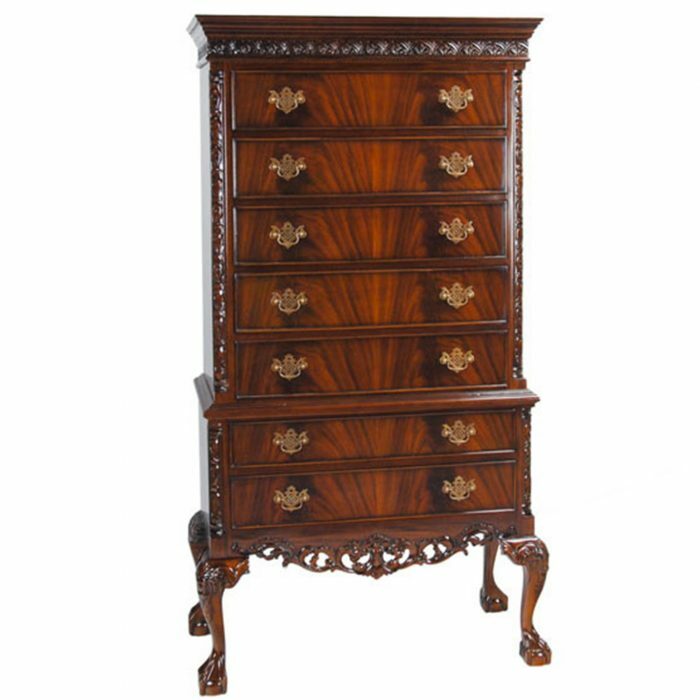 Hard to find vertical storage, all on beautifully shaped, hand carved, plantation grown solid mahogany cabriole Chippendale style ball and claw legs. 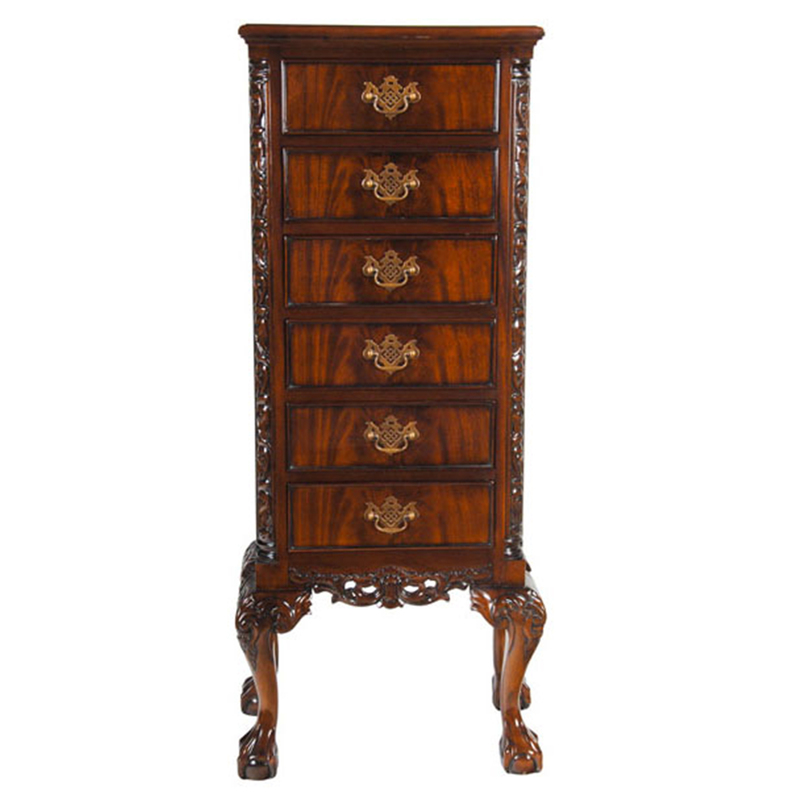 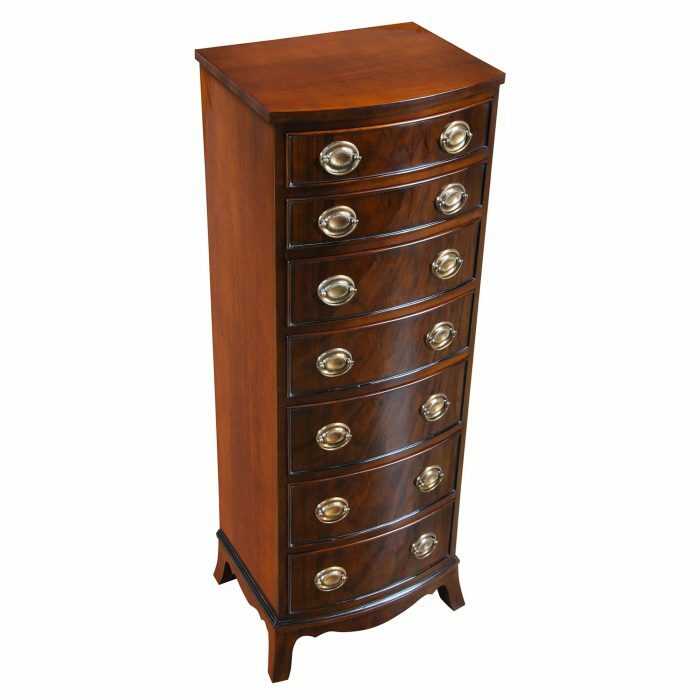 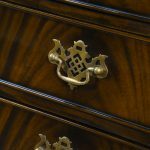 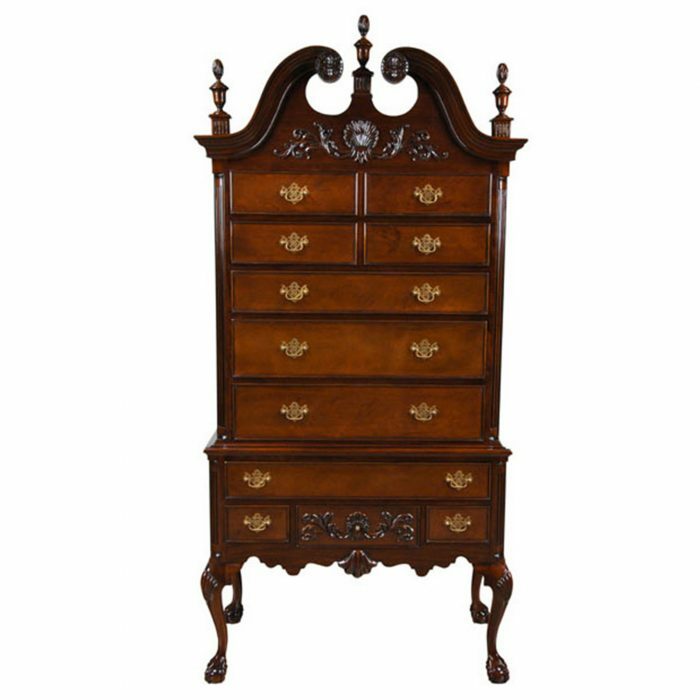 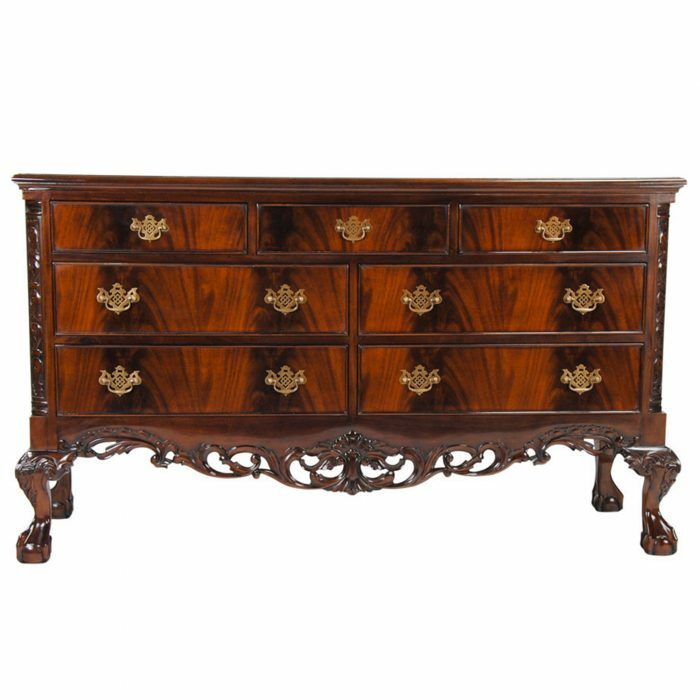 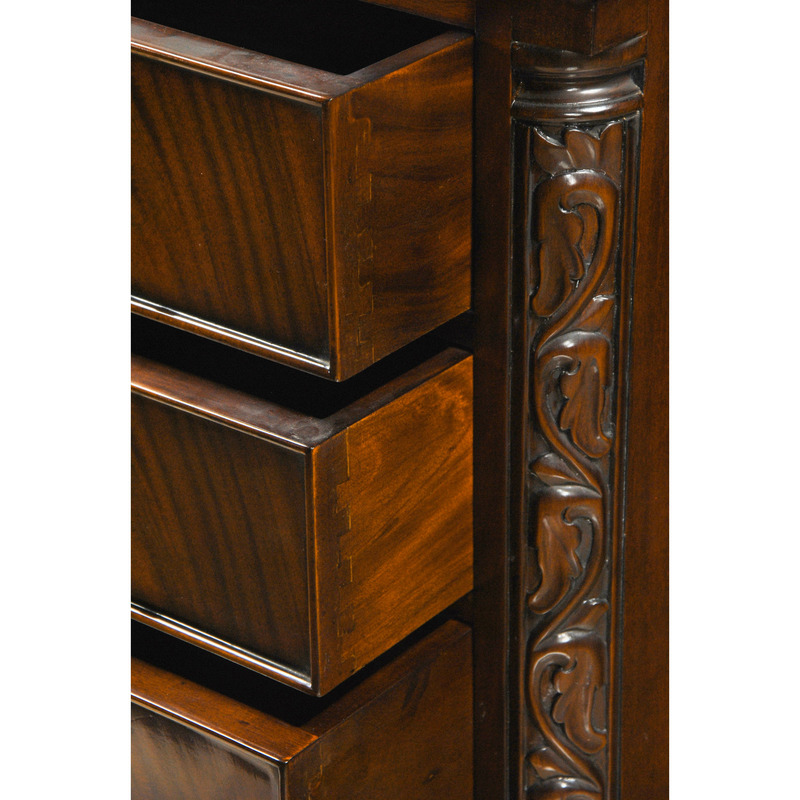 Our Chippendale Mahogany Lingerie Chest also features gorgeous veneered drawer fronts and attractive, traditional style drawer pulls. 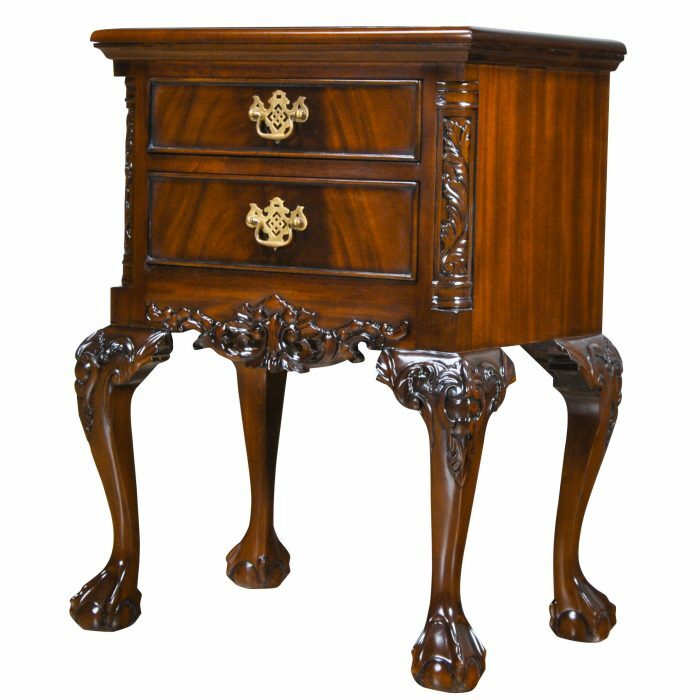 Many matching pieces are available, see our “related products” section below for details. 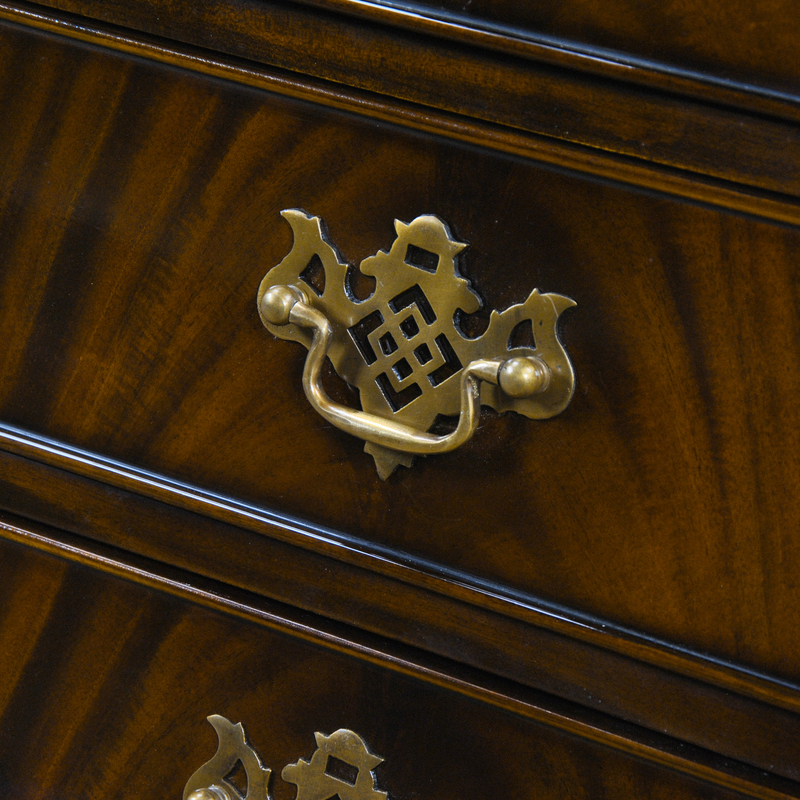 Mix and match the pieces you need to create your own stunning bedroom setting.